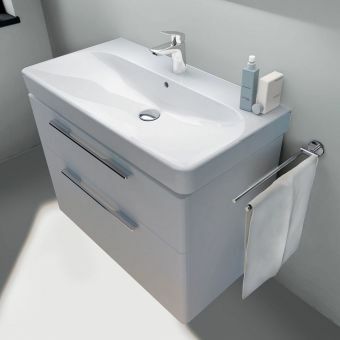 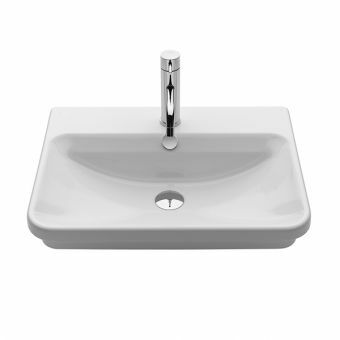 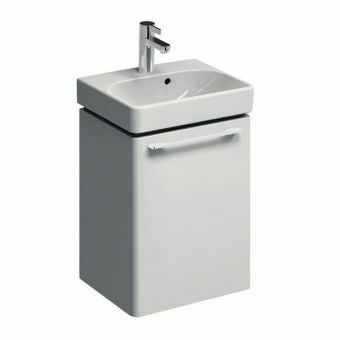 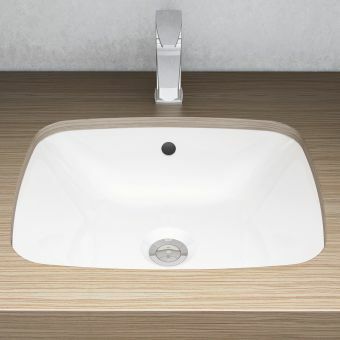 The Geberit Smyle under-countertop washbasin offers a stylish, yet practical alternative to a traditional form basin. 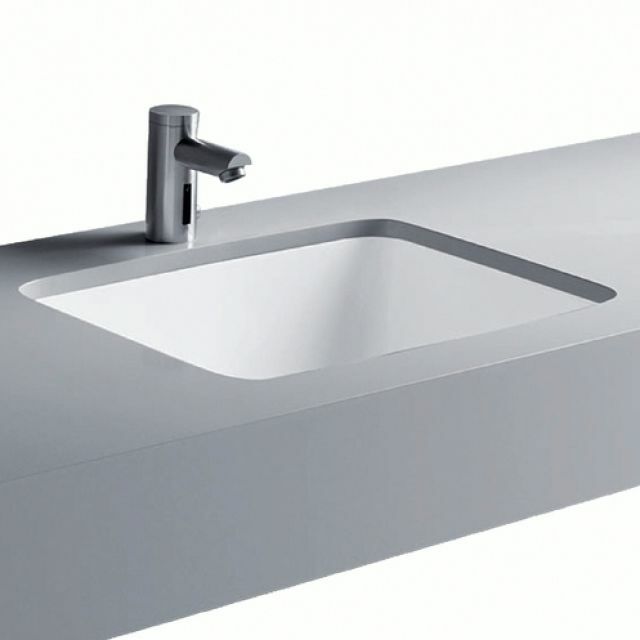 The unique design enables the washbasin to be inset into your countertop, allowing for clean lines and a sophisticated, elegant composition. 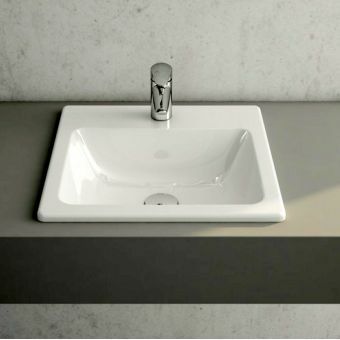 Square in shape, the washbasin is available in two sizes. 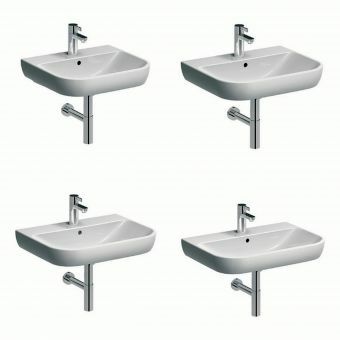 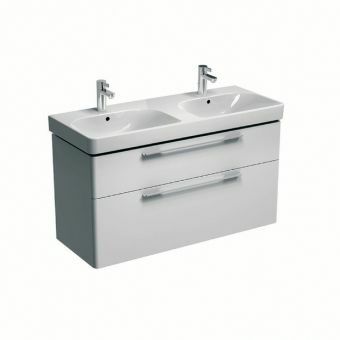 With widths of either 52cm or 56cm, this wash basin is ideal for both smaller and larger bathrooms. 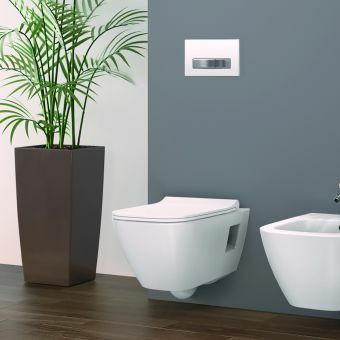 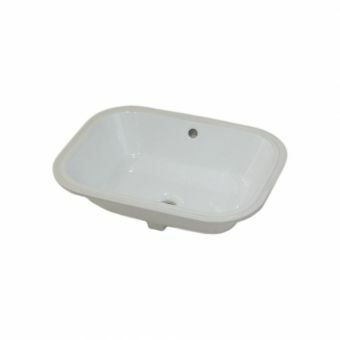 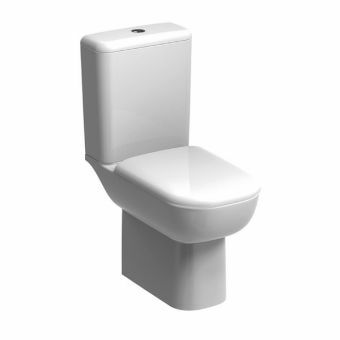 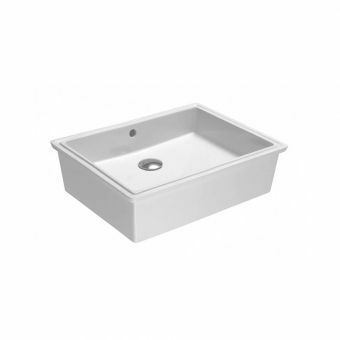 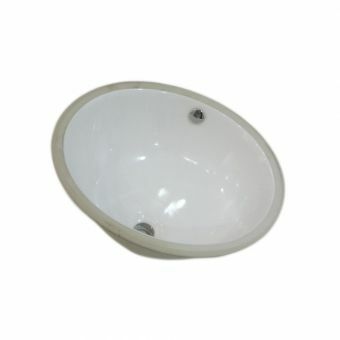 With an overflow hole conveniently located on the rear section of the basin, it offers reliability and quality, in addition to first-rate design. 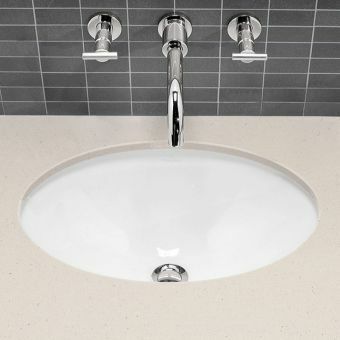 Ideally suited to accompany the Smyle range of sanitary ware, the under-countertop washbasin can be fitted to a countertop of your choice. 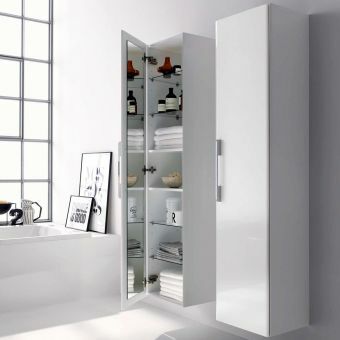 The versatility of the product ensures that it can be used to complement your existing decor and design choices. 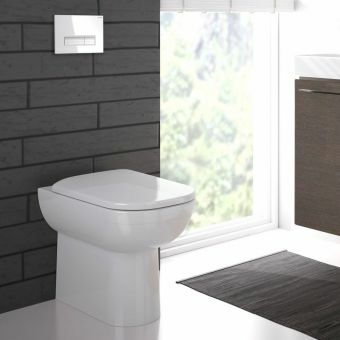 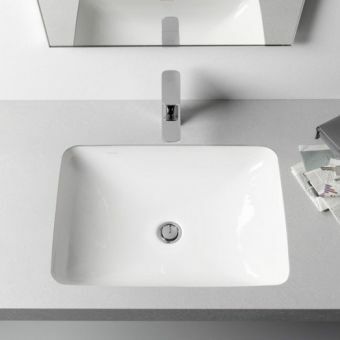 Supplied with fastening materials and offered in white, this sleek, contemporary washbasin makes efficient use of the space available without compromising on style.